Good Morning!! Can you believe April is half over? I know I say this every month...but, where does the time go? Last week I ordered a few things from the April release at Taylored Expressions. My package arrived quickly and I have been having fun ever since (I've made over 10 cards already). If you follow me on Instagram you probably saw the card set I shared a few days ago. 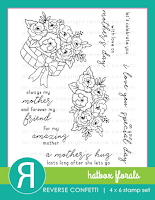 Today, I am sharing a couple of cards using the Brimming with Love Stamp Set. I started my cards my by using the Brimming With Love Die to die cut my image. Next, I used my MISTI and the coordinating stamp set to stamp my images. The stamps are red rubber (I typically use clear stamps) but this set was very easy to line up. Also, because it has a "watercolor look" I found it to be forgiving if things didn't line up just perfectly. For my sentiment, I used the Brimming with Love Sentiments Stamp Set. I stamped my sentiment directly onto my jar image. 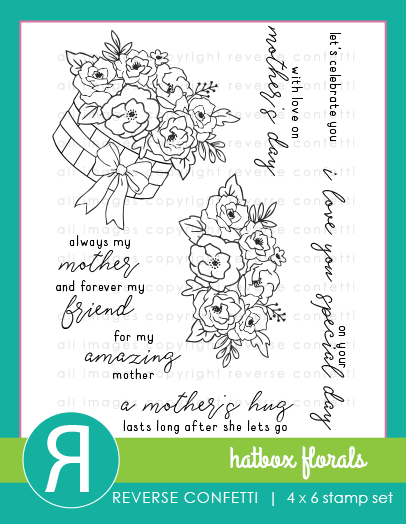 This is a great set with a nice range of sentiments. I love how they fit so nicely on the jar but can also be used on their own. 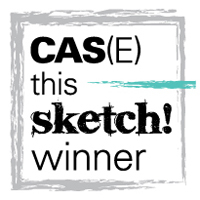 For my card design, I ran a piece of 4x4 white cardstock through the Corrugated Embossing Folder. I added a piece of green polka dot pattern paper and a small yellow strip of cardstock to the bottom to create my card panel. Lastly, I attached my stamped image to my card front with foam adhesive. Good Morning! I hope your week is going well...can you believe it is almost Easter? Morgan comes home tonight for her Easter break, yeah!! I love it when one or both of our girls are home for a few days. 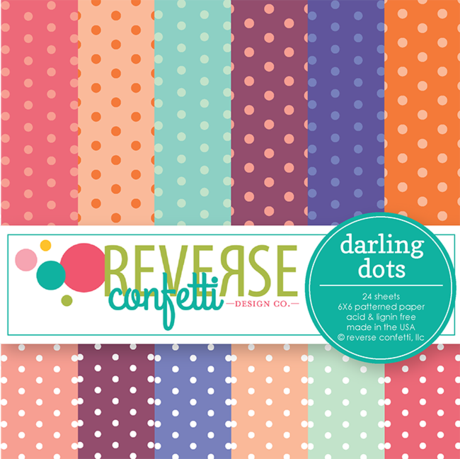 Today, I am sharing my card for the Stock Your Stash challenge at Reverse Confetti. 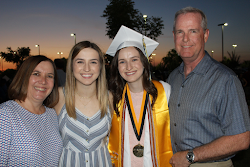 This month is all about moms, dads & grads. So, I decided to get a head start on my Mother's Day card. 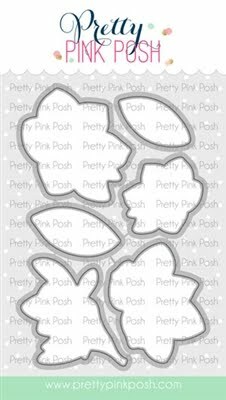 I started my card by stamping the basket of flowers from the Hatbox Florals Stamp Set. I colored them with Copic markers and used the coordinating Hatbox Florals Confetti Cuts to die cut my image. 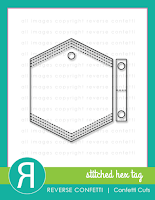 Next, I used the Stitched Hex Tag Confetti Cuts to die cut my tag. I mounted my Hatbox Floral basket onto my tag and set is aside. For my card panel, I used the Darling Dots 6x6 Paper Pad. I cut a white cardstock strip and stamped my sentiment on the left side. I then mounted this onto my polka dot paper. Lastly, I attached my Stitched Hex Tag to my card front to finish my card. Good Morning! 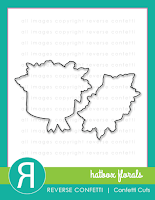 Today I am sharing a couple of cards using the new Meadow Flowers Stamp Set on the Technique Tuesday Blog. 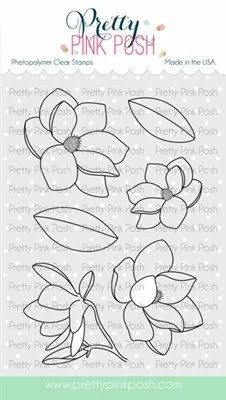 This is such a Gorgeous flower stamp set with so many possibilites. To begin my card, I created my backgrounds. I used Distress Ink and a clear acrylic block. I smooshed the ink onto my block and spritized my block with water. Next, I flipped the block over onto a piece of watercolor paper. I placed something heavy (to apply light pressure) onto my block and let it sit for a few minutes. Once I removed my block I used a paper towel to pick up any extra water left behind. For my first card, I used Picked Raspberry, Salty Ocean and Mowed Lawn Distress Ink. The little cubes are the perfect size for this technique. 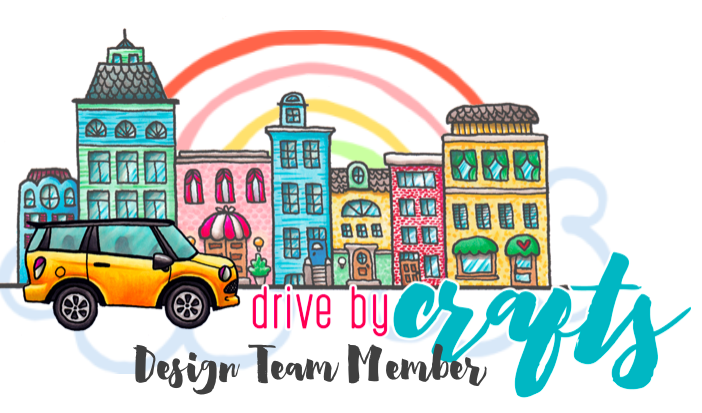 Once my background was dry I began working on my card design. I stamped the Meadow Flower image with black ink onto my card panel. Next, I added clear embossing powder to the flower images for some added shine. I stamped my sentiment onto a label from the Essential Stitched Labels Crafting Dies and attached that to my card panel. To finish my card, I attached my card panel to a black cardstock mat and attached everything to an A2 card base. For my next card, I used Spiced Marmalade, Mustard Seed, and Twisted Citron Distress Ink for my background. I once again stamped my image and added clear embossing powder. This time I added my sentiment directly to my card panel to keep things clean and simple. I again added a black mat and then attached everything to an A2 card base. I hope you enjoyed my cards today and give this technique a try. It is definitely a favorite of mine. My heart and prayers our going out to Paris today. Ric and I were fortunate enough to visit the beautiful Cathedral of Nortre Dame in 2015. It is hard for me to wrap my head around the devastation and loss...so very sad. Happy Easter week my friends. 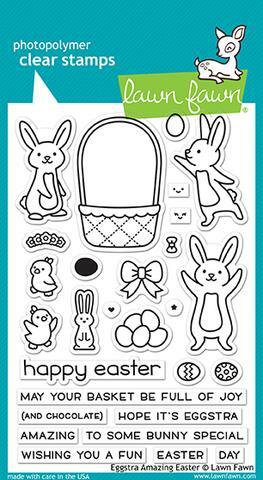 Today, I am sharing an Easter card using some Lawn Fawn products from Scrapbook Pal. 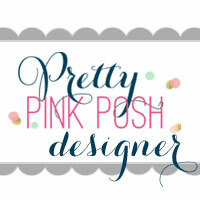 My card can also be found on their blog today. 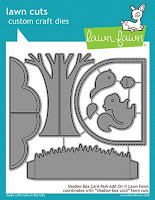 I started my card by die cutting the Lawn Fawn: Shadow Box Card Park Add On Window Frame from my white card panel and from the Spring Fling Paper Pack. Next, I also die cut the grass from the Shadow Box Card Park Add-On. I attached the grass to the window and inlaid the window back into my card panel. I also die cut and attached the tree to my card panel. These dies are meant to make a shadow box, though today I used them for a traditional card. Love how they can be used both ways. 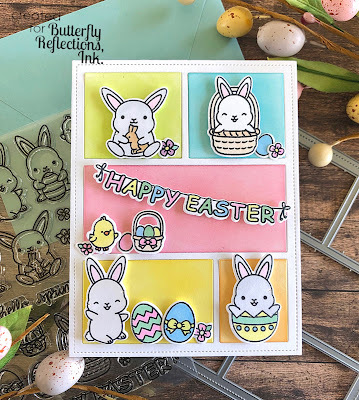 Next, I stamped all of my images from the Eggstra Amazing Easter Stamp Set with my MISTI and used a Copic friendly ink. 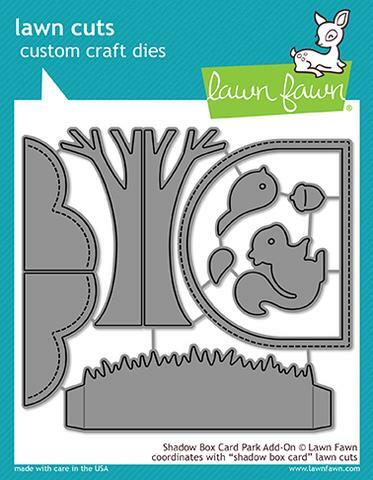 I colored my images with Copic Markers and used the Lawn Fawn: Eggstra Amazing Coordinating Dies to cut them out. I attached everything to my card front with liquid glue and foam adhesive. Lastly, I attached my card panel to my A2 card base. I hope you enjoyed my card today. 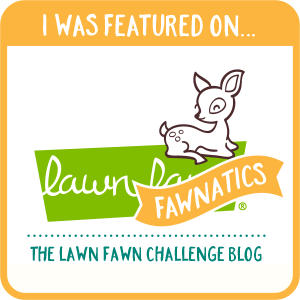 Make sure you stop by the Scrapbook Pal Blog today too!! Hello Friends! Today, I am sharing an Easter card using the Adorable Chubby Bunny Stamp Set from Sunny Studio on the Butterfly Reflections, Ink Blog. 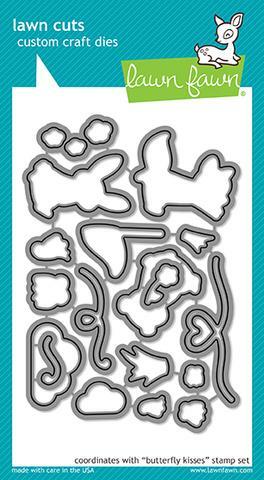 I started my card by using the Sunny Studio: Comic Strip Everyday Die. I die cut the frame from a piece of white cardstock. Next, I used Distress Oxide Ink to lightly ink blend some "spring" colors onto the square and rectangles that were cut from the frame. I used: Twisted Citron, Peacock Feathers, Worn Lipstick, Squeezed Lemonade and Carved Pumpkin ink. To finish my card panel, I inlaid my ink blended squares and rectangles back into the Comic Strip Frame. 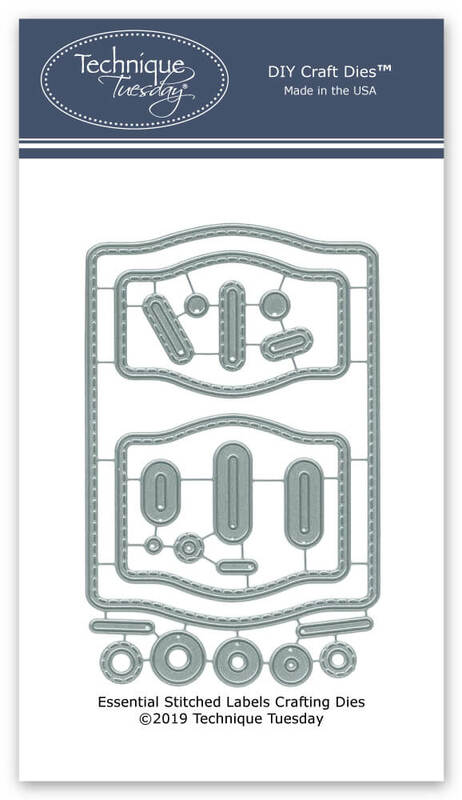 I set my card panel aside and began working on stamped images. 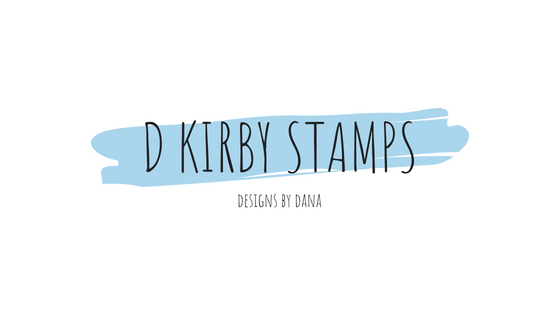 I stamped all the images from the Chubby Bunny stamp set with Gina K Jet Black Amalgam Ink. I then used a variety of Copic Markers to color the images. Next, I used the Sunny Studio: Chubby Bunny Dies to dies cut all of my images. To finish my card, I used Foam Adhesive to attach my Bunnies and Easter images to my card front. 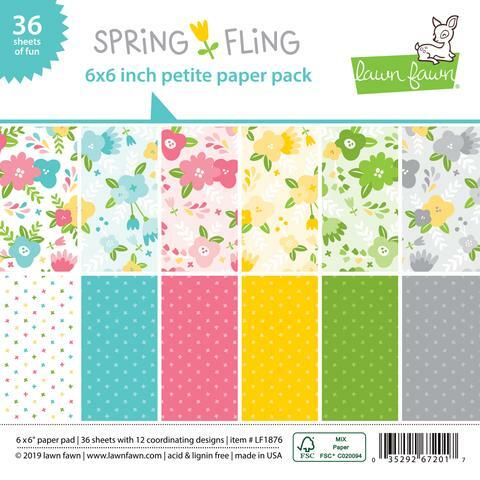 Have you started creating Easter and Spring cards yet? 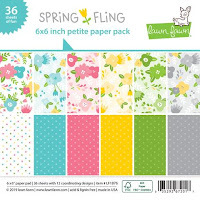 The Butterfly Reflections, Ink Store has lots of new products that are perfect for both Spring and Easter!! Stop by and do a little shopping!! Good Morning! I hope you are having a great week! 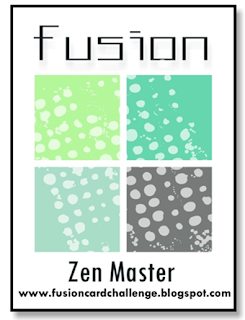 I am sharing another card today using the New Release from Technique Tuesday. 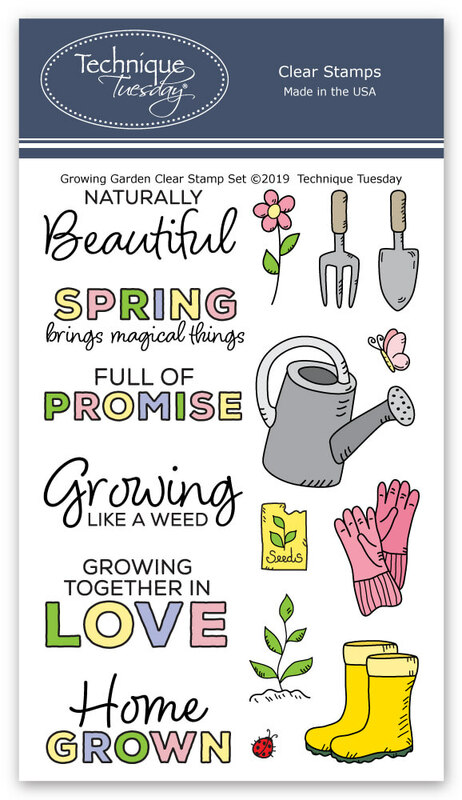 I started my card by stamping the images from the Growing Garden Stamp Set in a random pattern to create my "patterned paper". Next, I stamped a few of the images with a Copic friendly ink and colored them with my markers. 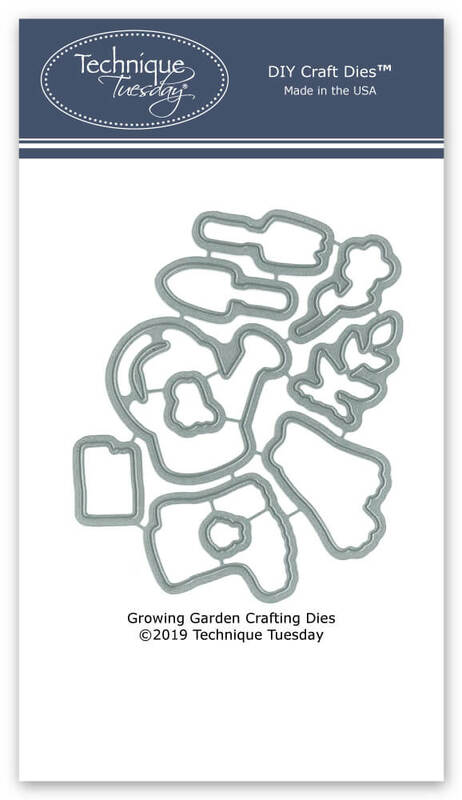 I then used the Growing Garden Crafting Dies to cut out my images. To assemble my card, I attached my stamped panel to the left side of my A2 card base. Next, I ran a piece of kraft cardstock through the Corrugated Embossing Folder from Taylored Expressions. I trimmed my cardstock down, added a green strip of cardstock and attached it to my card front. To finish my card, I stamped my sentiment onto a label from the Essential Stitched Labels Crafting Dies and attached my images with foam adhesive. I hope you enjoyed my card today. Please feel free to ask any questions or leave a comment. Good Morning! 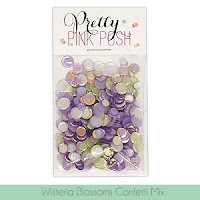 Today, I am sharing two cards using lots of products from Pretty Pink Posh. What did you buy from the latest release? There were definitely some great things to choose from. I love how all of the products work so well together! I started my card by stamping the flowers and leaves from the Magnolia Flowers Stamp Set and the butterfly from the Beautiful Butterflies Stamp Set with VersaMark ink. I added white embossing powder and heat set my images. Next, I added Distress Oxide Ink in purples and blues. I added lots of water and just kept blending until I got my desired colors. I used the coordinating Magnolia Flowers Dies and Beautiful Butterflies Dies to die cut my images. For my card panel, I splattered a little black reinker onto my card front. 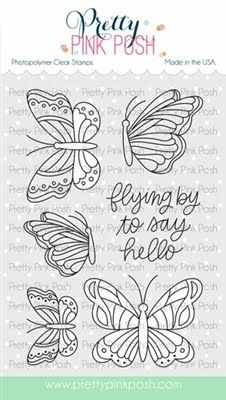 Next, I stamped my sentiment from the Beautiful Butterflies Stamp Set with black ink and added clear embossing powder for a little extra shine. 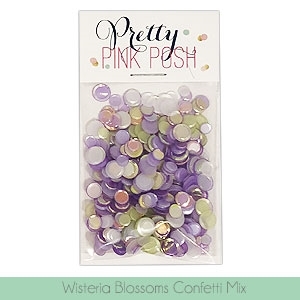 To finish my card, I attached my images with foam adhesive and added a few sequins from the Wisteria Blossoms Confetti Mix. My next card is similar to my first card, I just changed the colors. Do you ever create two cards at the same time? Which one is your favorite? Thanks for stopping by today, I would love for you to leave a comment if you have a moment or two.